我们开始使用的Airbnb出于纯粹的绝望. 我们在巴黎. 这是安东尼奥在城市的灯光，我的第一第二次. 巴黎酒店是出了名低劣，我们选择了最好的我们的预算将提供给我们. 这是一个小房间, with a “kitchenette”. 正巧是开斋节. 这通常不会是一个问题, except that a Muslim family had rented out the entire hotel (except for our room) and they celebrated – the entire – freakin’ – night. 有没有合眼可拿. 我们jetlagged, underslept, 而绝望. 安东尼奥听说过的Airbnb的，我们决定测试一下. 我们结束了在一个可爱的巴黎公寓，有一个美好的时光. 我们大呼过瘾的服务. 1. The Homeowner: The homeowner (renter) opens up their home when they are on vacation. 他们也可能会留在亲戚，而你在他们的房子. 你要明白，他们的家园将充满自己的东西. 这也意味着，你将在一个设施齐全的房子要住而主机会知道自己的城市/居委会. 这是我最喜欢的主机留. 我总是盼望与家人的照片家园, 类似地雷的美学, and people who like the same things that I like (more on this later). 2. The Investor: 他们已经想通了，他们可以从制作的Airbnb赚钱. 他们有两个以上的公寓. 公寓都配从头到脚从宜家项目. 这是我的第二选择. 如果你喜欢一个酒店, 这些可能是您的最佳选择. 为了我, 他们缺乏灵魂的一点点, 但还是击败了所有的酒店. 与这些主机, 您将需要仔细审查一下. 3. The Realtor: 我努力避开这些. 房地产经纪人有多个列表，并没有个人连接自己的位置。有些是大, 别人都太可怕了. 你需要做额外的研究，真正与这种类型的主机前停留的端详评论. 4. Professional Hotels & Bed & Breakfasts: 酒店bnbs了聪明的Airbnb住宿开始上市. 这不是一件坏事. 很多公寓式酒店可以发现这种方式, 还可以进行交叉引用它们像网站登录. 我仍然可以通过预订的Airbnb, 但它让我觉得住酒店较好. 七年后, 我们还在制作的Airbnb的铁杆粉丝. 我们大多没有好经验, 一些惊人的人, 只有极少数负面的. 这些年来, 我们学会了如何成为一名优秀的主机. 如果你是新来的Airbnb, 有没有必要担心. 我给你我的提示，选择完美的公寓为您的需求. 如果您有更多的疑问或想咨询, 把它留在评论，我会尽快给您尽快. 1. Start with Amenities: 有你需要某些东西. 为了我, it’s four things: fast internet, 一台洗衣机, 一个厨房, 和温度控制. 我甚至不懒得看那些没有这些设施的公寓. 这些项目可能是你不同. 不让步. 我发现，那些时间我已经牺牲了这些需求无论是便宜的成本或附近, I’ve been disappointed (and I can blame no-one but myself). 2. Read Reviews: 但直到最近，藏的Airbnb来自主机的评价和评论，直到两个审查. 这意味着旧的评论通常朝着正偏态. 如果你看到任何东西不到的列表 3 star rating – skip it. 哎呀, 我跳过任何有不到四年. 这是一个不好的公寓/坏主人. 您还需要字里行间. 问题往往潜入评论, so pay heed to certain wording (cozy – means small). 评论会告诉你，如果主机是细心, 如果超出去, 如果他们的家是偷偷吵. 3. Check out Host Profiles: 这是巨大的. 第一, 请确保您的主机验证. 更验证, 更好. 然后检查他们写的UPS. 看看你的主机有相似的兴趣给你. 看看他们的评论从主机到找出他们曾走过. 如果你的主机已经前往的地点你已经去过, 他们可能会适合您的旅行风格。退房的利益他们写了. If they love cooking – and you do too – chances are their kitchen will fit your needs. 4. Photos: 我不会留在一个没有照片/坏照片的列表. 我这个问题详细介绍了信仰, 如果你还没有采取把TLC到上市时间, 你可能不会做同样与您的家庭. 你也不想有任何意外. 如果公寓看起来凌乱, 有可能不是你的东西的地方. Is their closet full of clothes? Then you need to ask this host if you will have space for your items. 把照片的来龙去脉. 退房的照片，看看是否有足够的柜台空间, 如果厨房是好的, if there is a shower curtain…you get the gist. 5. Verified Photos: 这些都是伟大的, but keep in mind these Airbnb taken photos make the apartments look much bigger (fish-eye lenses) and gorgeous. 检查出的照片后，, read reviews and look for people saying “looks just like the pictures”. 6. House Rules: 阅读这些. 你不想要的惊喜，当你到你的寄宿家庭. 一些家庭不允许酒精. I’m a wino – this would never work for me. Other hosts will charge you a cleaning fee (I am totally ok with this – you may not be), 或延迟入住费. 请务必仔细阅读这些. 7. Ask for a Discount: 不这样做，如果你只是停留一周或两周, 但是，如果你住超过 15 天, 这是完全确定，要求打折. 他们可以拒绝折扣, 你仍然可以坐的地方全价，如果你真的爱它. Is the bed a true bed? 有时，主机将把两个双胞胎在一起. 这可以是令人难以置信的不舒服. Is the hot water stable?很多欧洲/拉丁美洲上市没有热水或有不可靠的加热器. 很少有乐趣一样的生活热水淋浴和我大关于确保我有一个日常. How’s the water pressure? 水压是在许多国家的一个问题. 即使你看到一个漂亮的浴室, 问水压. 我曾经住在一个地方与看起来像是一个淋浴是来自外太空. I was tired and weary and so freakin’ disappointed when I jumped in to have a dribble of water land on my head. Turned out the owners were very much into water conservation…trust me, 问. How many sets of keys do we get? 安东尼奥和我一起旅行, 仅具有一个组键可以是相当不方便. Will a cleaning person come in weekly? 我认为所有的主机应该添加一个每周清洁服务的上市成本. It just helps you to not have to work extra (and their cleaning person can make sure you as a host are not messing up the house or breaking things – benefits both parties). Storage: 会不会有我在衣柜里现货, and will there be a good number of hangers? I travel for months at a time…so this one is important to me. 我绝对讨厌去的地方发现有只 5 衣架我 15 天的服装. How does garbage work? 相信我, 许多主机忘了告诉你有关垃圾和回收. Ask! How should I deal with neighbors/their questions? 作为一个旅行者的Airbnb, 它是你的责任来照顾你的主机，并保持系统持续. This simple question will get you into your hosts’ good graces. 9. Check them out on Social: 你会惊奇地发现它是多么容易找到人在Facebook上的个人资料, 推特, 甚至Google+的. 我喜欢 茎 真正与他们住在一起之前，知道我的主机. 10. Cancellation Policy: 今年，当我们在葡萄牙, 我们得到的坏消息两块. 这意味着我们不得不飞回美国，在短短几天. 我们吃了我们的租金，其余的成本，因为我们已经有. 像这样的事情可能发生. 你得到你的主机回家之前，他们甚至可以发生. 留意你的主机的取消政策. 有各种类型的 你能更详细地在这个链接查看. 我倾向于坚持灵活和适度, 只是为了安全起见. 11. The Spreadsheet: yeah…it’s 11 因为我答应了我的模板 电子表格 为你. You’ll have to edit this to fit your needs (if you’re a smoker, for example). 如果你有建议过我会高兴得不得了, 所以让我知道在评论. 12. Do a Walkaround: 制作的Airbnb只会给你的公寓在哪里估计. Grab the “address” and copy paste it onto google maps. 做一个步行约. 这会给你的区域是一个不错的主意像. What do you want to look for? 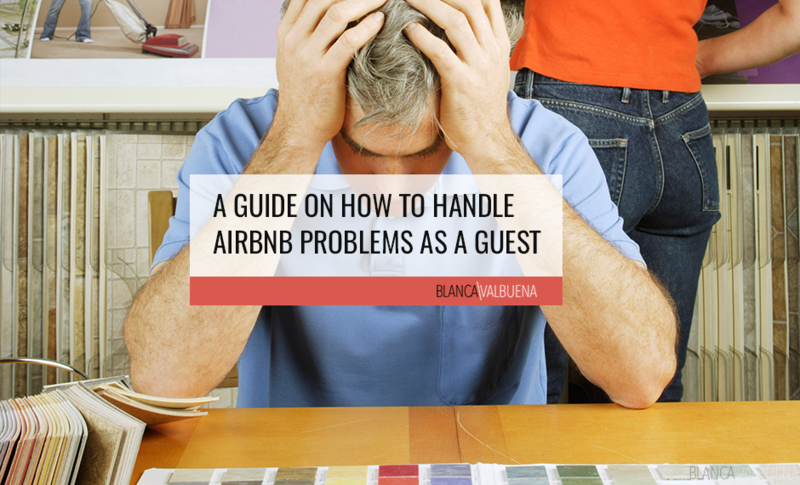 See if there is a bar downstairs from your rental (this could mean it will be loud at night). “Walk” a few blocks, 查看是否有熟食店/超市/卖场. 这会告诉你你如何面积为方便. 有没有在大街上很多垃圾. 选择你的Airbnb租赁时，你会惊奇地发现有用步行约将. 13. 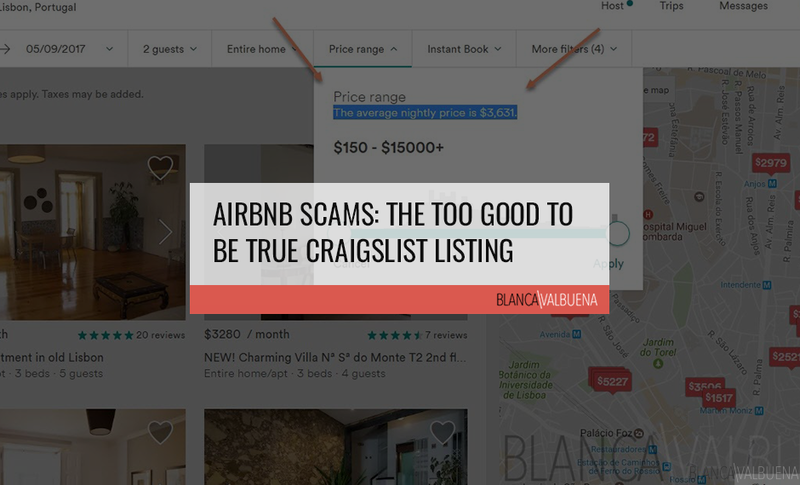 Never Exchange Cash off Airbnb:如果您需要的主机要求您提供联系信息或提示付款被掠走的平台, 不选择此出租的Airbnb. 这是一个骗局，你不会有任何的Airbnb保护. Troy’s Scandinavian Airbnb in Hyde Park NY:特洛伊是我们住过最好的主机. 我们打破了我们只租整个房子规则，因为他的评论是如此惊人. 我明白为什么他是superhost. 我们题为他 3 制作的Airbnb的米其林星. 我就不多说了, 通过点击并检查了他的评论. 特洛伊是惊人的. Matthiew’s Airbnb in Paris:我们借了很多他的时尚感. 他有一个高清投影机, 我们有一个在我们的公寓现在. 他有一个书架地板, 我们现在有一个. 当我们到达他的地方, 他招呼我们在他的丝绸浴袍, 然后坐在我们失望，并解释邻里, 哪里可以买到最好的面包, 什么是餐厅值得哪里去. 和他一起住教了我们很多. Sabina’s Airbnb in Florence:我很高兴地说，我们是臭的第一个制作的Airbnb主机. 她是一个了不起的主持人，她的家一样，没有其他. 我会告诉你去佛罗伦萨仅仅停留在她的房子. Little hint…there’s plenty of Medici history to it. Seriously – go – it’s gorgeous. We’ve stayed with her 3 现在时代. Nuno’s Airbnb in Lisbon:我们成了朋友努诺. 他还挺真棒. 他带我们去派对, 是超级细心, and outside of him being a super host…the apartment was close to perfection and had the most incredible views of Lisboa. Nicole’s Airbnb in Williamsburg: They were super sweet hosts and accept dogs (a plus when Petey was with us). Gorgeous apartment and it made for many nice “vacations” from our daily grind.皮蒂 was with us). Ismael’s Airbnb in Montreal:我很震惊，我们是伊斯梅尔的第一批客人. 他想到了一切. 平有一个伟大的健身房, 一个游泳池和来自艺术区仅几步之遥. He even treated us to breakfast (not necessary, but so appreciated). 他将是一个令人难以置信的主机. Aurelie’s Airbnb in Lyon:我认为，我们在这里住两个或三次. 该单位是舒适, 超级时尚, 从只有几个街区Les Halles酒店保罗·博古斯. 优越的地理位置, 巨大的价值, 很不错的主机. 一个美丽的地方在留在 祭祀德吕米埃兄弟. Sara’s Airbnb in Brussels:我们从来没有遇到过萨拉, but the guy that did the key exchange with her was super patient (our flight was seriously delayed) and very helpful. 我想我可以在几秒钟内陆续进入这个平板. 该公寓是巨大的, 有三个风险, 和超高速互联网. 这仍然是我们最喜欢的家园之一. 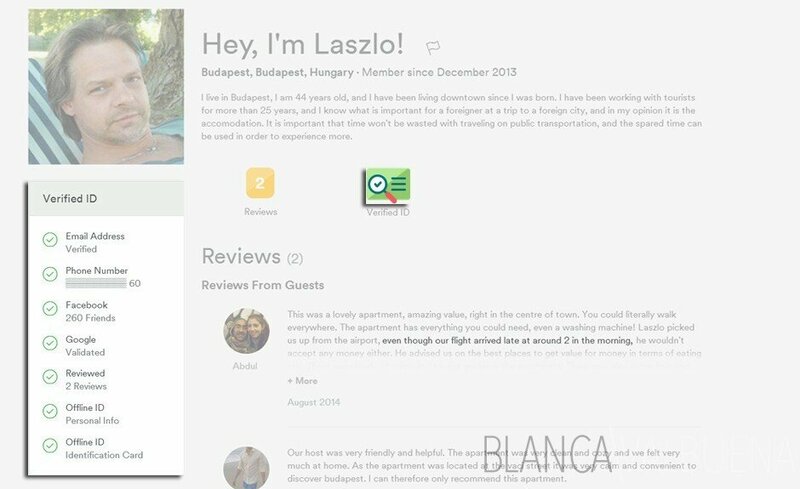 Gergely’s Airbnn in Budapest: 这是不是一个巨大的公寓, 但它绝对一切，你可以需要一个伟大的位置. 盖尔盖伊和他的父亲是可笑的不错，在各方面都适应. 我建议这个公寓谁访问过布达佩斯许多朋友. 你不能去错在这里. Dorothee’s Airbnb in Jersey City: What a gorgeous apartment! It makes complete sense since Dorothee is an antiques dealer and designers. 她的家是每天磨逃生. 如果给一个选择, 我会在这里呆未来泽西城停留. 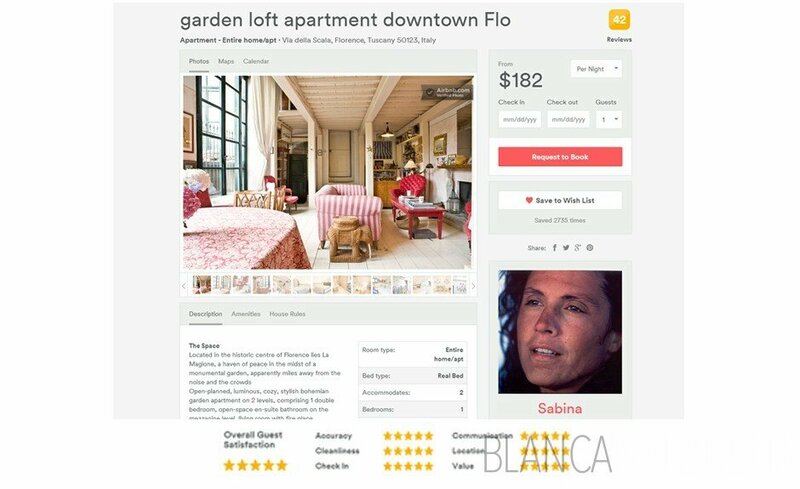 斯特凡的制作的Airbnb中的Montepulciano: Stefania’s place is gorgeous. 她买了跑下来Palazio酒店和装修的整个地方. 有手绘天花板, 托斯卡纳山丘的壮丽景色, 和一个伟大的厨房. 她的地方也正好在山的中间, 所以你位于市中心. Love her & her place. Paolo & Franziska’s Airbnb in Rome: On the outskirts of Trastevere with any modern amenity you could want. 这意味着它是安静的夜晚, 只是刚刚从一个繁华的夜生活几个街区. 我们有一个巨大的甲板与烧烤. 互联网奇妙的工作, 而淋浴有一致的热水. 喜欢他们的地方，绝对会再呆在那里. 加布里埃莱的制作的Airbnb在威尼斯: Thrilled to add this one to the list. While Venice is not my favorite city in the world (too many tourists, 太难解决, and so expensive…this flat made our stay so much more pleasant. The apartment was outfitted with gorgeous (and comfortable) furniture. 这是一条运河旁，所以我们可以感觉到像真正的威尼斯人, 而且它是关于 3 从吨的餐馆和商店街区远. 我们能够从喧嚣有一个离家出走, 尚未得到任何东西，我们需要的时候，我们希望. Anne’s Airbnb in Paris: Another amazing Paris apartment. Anne’s place was a 2 卧室有一个巨大的甲板. It was across the street from a large Casino supermarket and a few blocks from my favorite French market – Picard. 我能走到院, 罗丹博物馆等等. 她是作为主机有点稀疏, but her apartment gave us everything we needed – and an amazing view of the Eiffel Tower. Bojan’s Airbnb in Pula: Bojan is an artist (make sure to check out his gallery if you go to the city and his apartment fully reflects his amazing aesthetic. Everything worked perfectly (shower, internet), 而厨房是做饭的一种乐趣. 地点是伟大的，因为我们是从历史中心几步之遥，它是从一个公园，这意味着它是超级安静的夜晚对面. 一旦你拿起你的Airbnb租赁, you’ll most likely have a great time. We’ve only had about 3 负面经验, 而每一次的Airbnb采取了非常谨慎的我们. 这些都是你应该做的事情，如果你最终运行到一个问题，当你在你的Airbnb到达. How to Message Airbnb: 登录并鸣叫@AirbnbHelp. 不要宣扬你的委屈公开. 让他们跟着你，让你可以在旅途中的一个问题得到援助. 我觉得这是取得联系与他们的最简单快捷的方式. Take Pictures: 你想拥有的一切证明. I do a video on my iPhone on arrival to document what the flat looks like and then I immediately upload it to YouTube (as unlisted) so that I have a date stamp on it. 我做这个日期我离开也让我有证据的情况下，主机不断说一些被打破. 在这种情况下, 如果说你的平板脏了，当你到达, 做视频和拍照. Stay Professional: 制作的Airbnb将是这样的帮助，如果你只是陈述事实. Don’t get overly emotional. Thanks for this information. 我发现从几个月前的一个reddit的帖子的链接. 我只订了两间房为联合国即将到来的假期，并希望我有见过这个我以前预订. 我的Excel庞大的用户, 但它并没有想到要使用此. 想了解更多的提示如何在评论字里行间. Sorry I didn’t get back to you earlier…I keep this blog for fun, 所以我不经常检查. 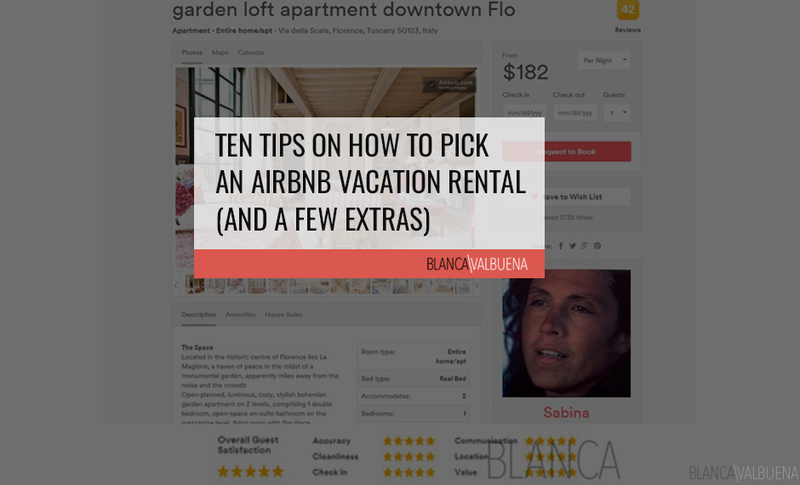 Reading between the lines…this is especially important with older reviews since before you could read airbnb reviews before reviewing the other person. 这意味着，旅客有很多友善与主机的评论，使他们能够得到更好的自我审查. When you read reviews search for key words…cozy usually means the apartment is tiny…or cluttered. 有时健谈可能意味着霸道. 这一切都在检讨的语气. You want to see reviews that say “looks just like the pictures”, 或条评论涌出，在物业. 如果有人花时间写一个惊人的检讨, 这是因为主机确实它们吹走. 让我知道如何去与你的公寓. 我将更新威尼斯公寓视频的时候我到达. I am currently in Rome and loving my airbnb flat (used the spreadsheet & it didn’t let me down).